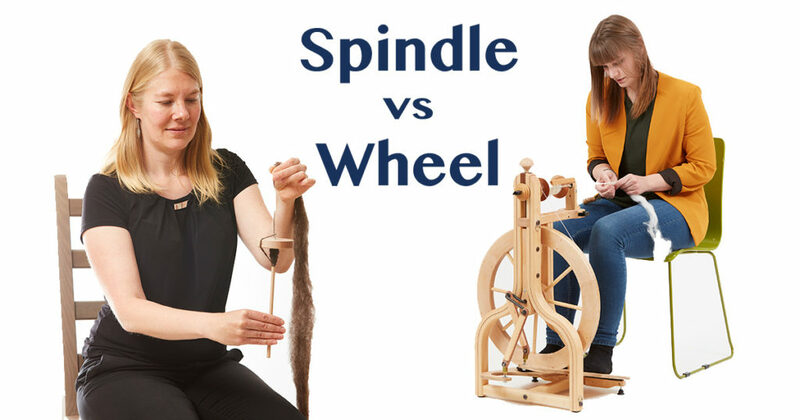 When it came to learning how to spin yarn, my biggest question was, “What should I learn on: spindle or wheel?” My mother, who usually has an opinion on crafty matters such as this, encouraged me to learn on a wheel. Luckily, I had a circle of friends willing to help me reach my goal. 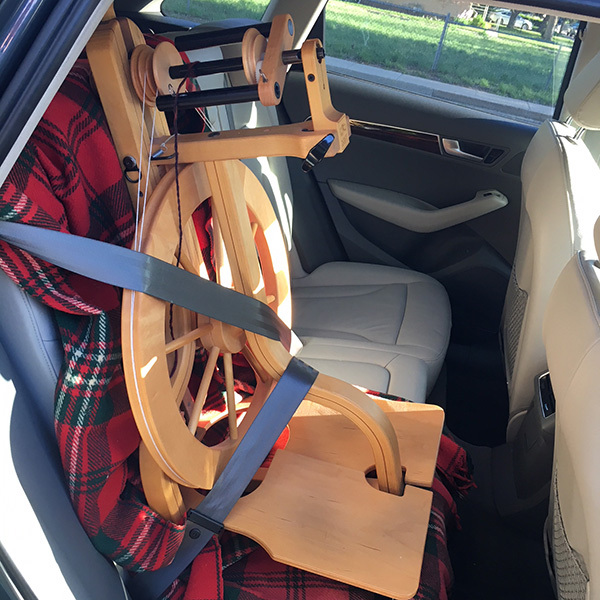 My friendly fiber enablers sat me at a wheel, handed me wool, and showed me how to treadle and draft. One even loaned me her wheel so that I could practice at home. 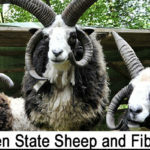 The following month, I took my first spinning class at the Wisconsin Sheep & Wool Festival, where I was able to try several different spinning wheels. I was hooked! A new-to-me wheel came home with me, along with a couple of fleeces. For me, the choice to learn to spin yarn on a wheel was easy, and eventually, I did teach myself to spin with a spindle. However, not everyone has access to a room full of seasoned spinners and a friend with an extra wheel. Not everyone who wants to learn how to spin yarn knows a handspinner. 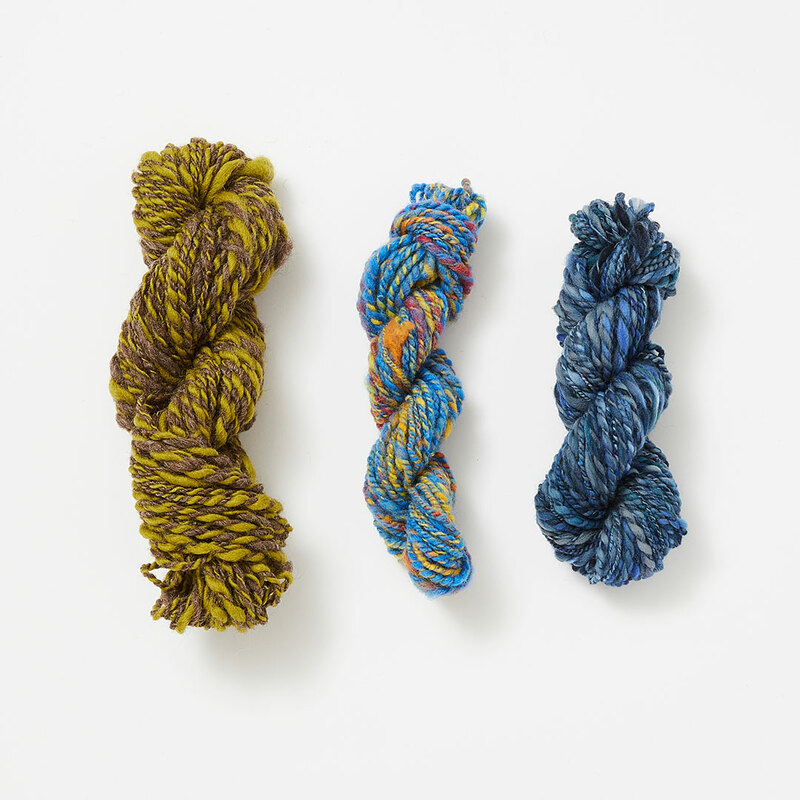 A quick internet search for classes offered online, at your local yarn store, or at a fiber festival will let you know what’s available in your area, or check with your local spinning guild. 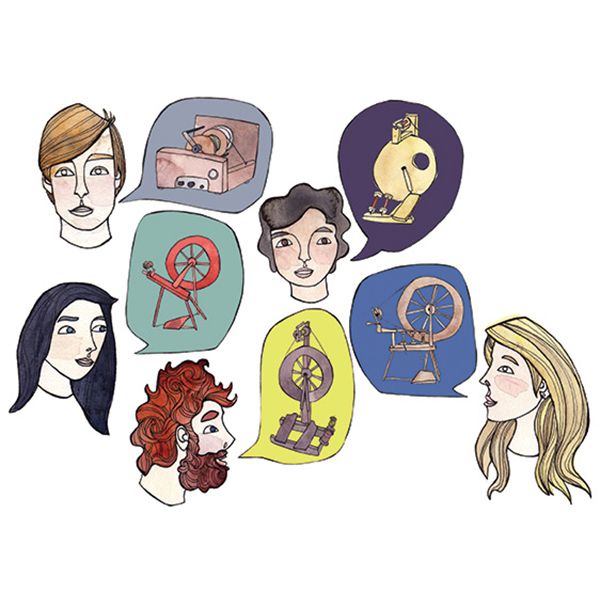 The teacher of your first class can help you make the decision about which tool to begin with. Wheels are a big investment in your craft. New spinners often ask how to choose their first wheel, and most instructors advise them to try as many wheels as they can before making a purchase. Spindles offer a more affordable option for beginning spinners. However, a word of caution: spindles have a way of multiplying. You can’t have just one! Wheels produce yarn faster than spindles, but they also have additional moving parts and accessories. It takes time and practice to get comfortable spinning on a wheel. Although you can travel with a wheel, a spindle’s ease and portability make it perfect for stashing in a bag for impromptu spinning while you run errands or join friends for coffee. Ultimately, why not try both! What did you learn how to spin yarn on? Spindle or wheel? Tell us in the comments below! Get started spinning with these video downloads from Spin Off! 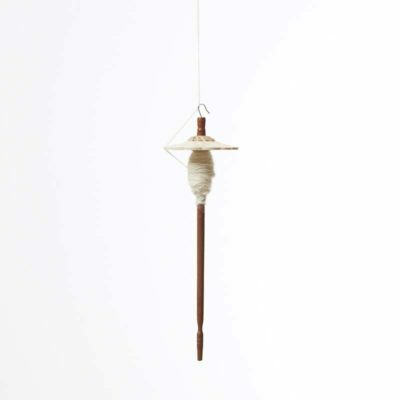 I learned how to spin on a low worsted suspended spindle. I had nothing but a few handspindles, a niddy noddy, and a pair of Clemes and Clemes handcarders for 4 years. When I could save up enough money by 1990, I bought an Ashford Traditional wheel for about $200. I have found that high whorl handspindles wobble too much and are harder to control. I have no problem with low whorl handspindles wobbling due to thier lower weight on the shaft. I still spin on handspindles periodically, but now I also have a Louet S10 Concept Wheel. The easy draw in and big bobbins allow me to do a lot of what I call ‘power spinning’ or spinning large amounts of skeins for a purpose, usually for weaving on large continuous style weaving looms. I have always found I am a better spinner and weaver than a knitter or crocheter.